Campfire Curriculum with Helpful Heather: Parental Involvement Perfection! Hi! This is Heather from Campfire Curriculum with Helpful Heather. 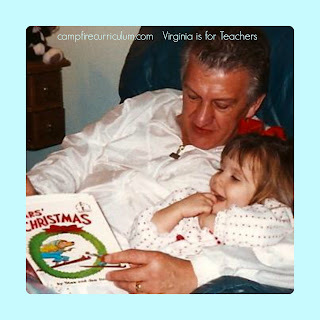 Research says that students that have involved parents do better academically! Would you like to boost parental involvement in your classroom? Well, you already have the ability! 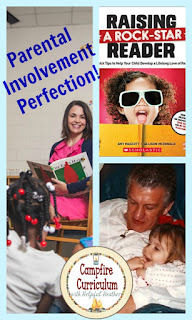 This post (along with an awesome book) will give you the push you need to ensure parental involvement perfection! 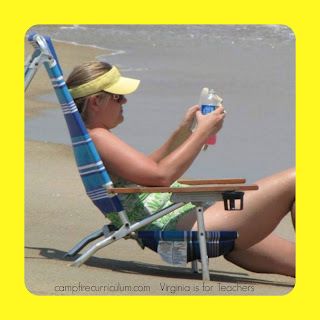 Summertime is the perfect time for teachers to reflect and prepare for the next school year. Many teachers also enjoy reading (by the beach or pool if we're lucky). 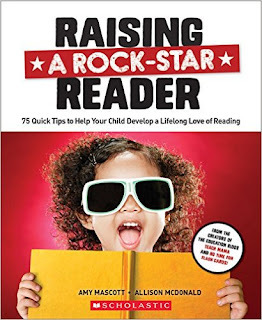 Using the book RAISING A ROCK-STAR READER: 75 Quick Tips to Help Your Child Develop a Lifelong Love of Reading, you can empower your student's parents and pave your way to success as a classroom educator. Every week I send a newsletter home to parents. In each supplement there is a section about reading. I simply discuss something that would help their students grow as readers. You could write about a new app for sight words, questions to ask students after reading, or simply how to read with them. 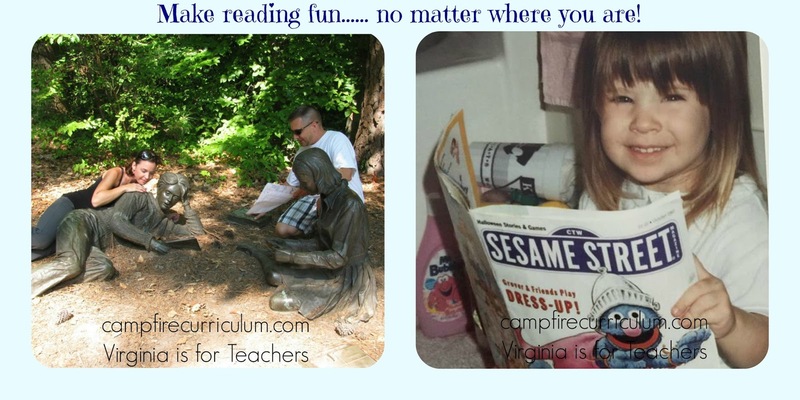 There are many parents that don't realize that reading a recipe, a bedtime story, or looking for letters in the environment while on a road trip will help their students. What I thought was a very simple idea has been loved and used by many parents over the years. Of course you will have to think of ideas every week. If you have difficulty with that you can use the 75 hints in RAISING A ROCK-STAR READER. Ok...... I'm no math genius but with 36 weeks of school........ there are plenty of options and choices for you! Remember, when you are talking or writing to parents they may not be familiar with terms like concept of print, schema, fluency, visualization, or sight words. It is very common place for us to use those words but it scares parents and makes them feel closed to the partnership that we are trying to forge. Make sure you are using vocabulary that is common to them without speaking over their heads. 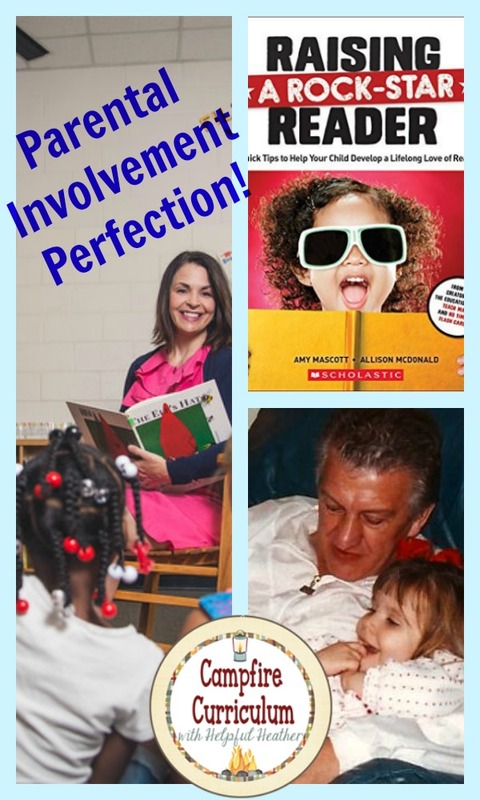 RAISING A ROCK-STAR READER will also help you when planning parent/teacher conferences. If a student is having difficulty with rhyme a parent may not know what to do. Teachers have resources to help their students in the classroom but we need to come up with some quick and easy ways to implement those strategies at home and this book is full of amazing and engaging ideas. At the beginning of the school year and the end of the school year I send home a list of apps and websites that are helpful academically. If our students are spending a portion of their summer on a device I want the time to be meaningful! RAISING A ROCK-STAR READER gives you a list to start with...... the work is already done! Remember above all make sure that families know that reading is FUN! As you can see I lead by example...... whenever my family sees a statue we pose and read to them. The (reading) statues on the campus of William & Mary are perfect for that! My family always encourages reading when potty training! Reading can be done everywhere and a sense of humor is helpful! Let this post inspire you to use your knowledge to empower parents and make them feel like they are part of the team! Let us all know how you are motivating parents to be involved with their own student's success. I can't wait to hear how you get parents involved!!! Thank you so much Jen!!! I'm honored to have you reading my posts. I've been working on a few that will be published soon. I hope you continue to enjoy them. disconnected kids that are not actually meant to disconnect with the world but the fate made it all happen . i think i should buy this to get some knowledge.